I’ve never been the biggest fan of any Bachelor Nation program. It feels like a mortal sin, I know, to not be into the emotional roller coaster ride delivered by The Bachelor, The Bachelorette or any of their spinoffs. I have friends who thrive on the drama, who follow contestants on social media long after a season has wrapped up, who became so invested in the world of Bachelor Nation that it gives them life. I get it; I have my own next-level obsessions. 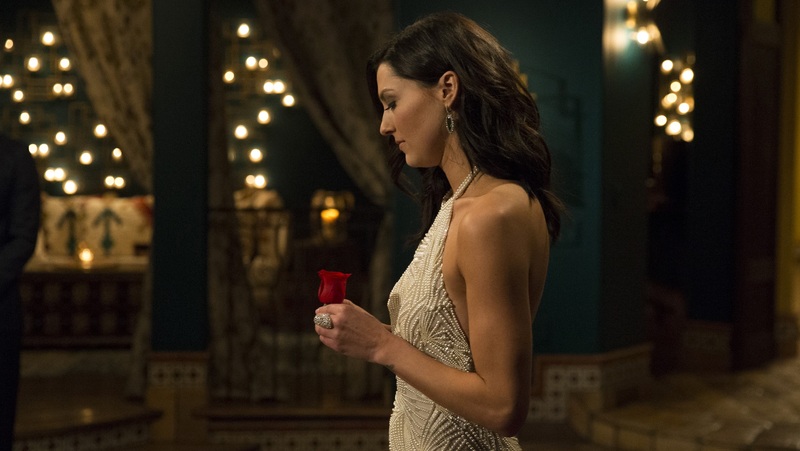 But Season 14 of The Bachelorette — Becca Kufrin’s season, which premieres on Monday — can’t come soon enough, and I’m so, so excited for it. How did I get here? I grew up during the big boom of reality TV in the late ’90s and early ’00s (back when The Real World and Survivor ruled the roost), and I’ve come to understand the inner workings of reality TV. There’s a certain level of theatricality and hollowness to these shows, regardless of what you’re watching. People latch on to character archetypes, dial up their antics, needlessly pick fights or cry or do any number of other things to get some precious screen time. The respective worlds of The Bachelor and The Bachelorette are no different. Viewers might know that everything is heightened, but that’s part of the fun (or so I’ve been told over the years). A little soapy melodrama never hurt anyone, my friends would insist. “This is good, fun TV!” folks said, earnestly defending these uber-popular dating shows. But seeing men and women brazenly compete for the affections of one lucky single person felt too weird and too fake. Why would I invest my time in watching people get so wrapped up in those initial feelings of love that they could believe it’s anything deeper than a fling? How could these shows honestly expect me to believe two people were ready to get engaged after just a few weeks? It was madness, and I wasn’t into it in the slightest. Earlier this year, when I heard about what happened during the finale of Arie Luyendyk Jr.’s season of The Bachelor, it was like a switch had been flipped. I always knew the success rate for couples who came out of The Bachelor or The Bachelorette were low, so knowing that Luyendyk didn’t end up with the woman he’d proposed to — Kufrin — wasn’t the surprise. What did surprise me was the truly awful way in which Luyendyk chose to break their engagement. Seated right in front of her, with cameras rolling, Luyendyk chose to tell Kufrin that he wasn’t in love with her and that he wanted to really try a relationship with Lauren Burnham. And as Kufrin tried to maintain her composure (that didn’t last long) and process being dumped while on TV, my heart went out to her. I mean, how ridiculously cruel can you be? Yes, this kind of brutal moment is reality TV gold. It’s a rare jewel in The Bachelor‘s crown and will appear on every “Greatest Moments” list from here to eternity. But to see Kufrin put through the wringer for the world to see rather than be respectfully given the time and space to process, to be turned into some zoo animal to be gawked at for our amusement — it really hurt me. And it made me pissed at Luyendyk for allowing that to happen. The way Kufrin was treated at the end of that Bachelor season gave me flashbacks to all the cruel ways I’d been dumped and subsequently resolved to triumph. A life well lived in the best revenge, in my opinion, and it seems that Kufrin chose to go that way as well. The marketing for her season of The Bachelorette has focused on Kufrin getting her happy ending on her own terms. In posters, she boldly stares into the camera, daring you to pity her. She’s here to find true love, and this time, she’s going to get what she wants. Even the first trailer for her season brands her “an independent woman” who is putting that awful Bachelor moment in the past as she power-walks her way to a happy ending. It’s so, so badass. So, here I am, eagerly waiting for Monday to arrive so I can tune in for my first-ever Bachelorette viewing. That feeling of solidarity and recognition of Kufrin’s emotional journey over the last few months has resonated deep within me. I’m cheering for her, and yes, I want her to get everything she wants.